Notice how Mom’s technique rinses clear! 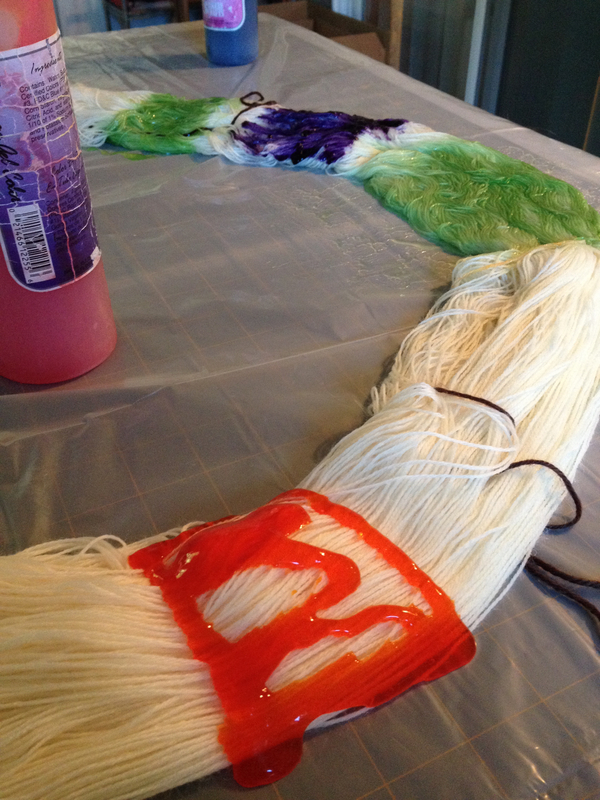 No bleeding, no excess dye, no mess! I’ll save the rant for some other time but seriously, this is the way it should always be! Of course, I wasn’t content with just one color. 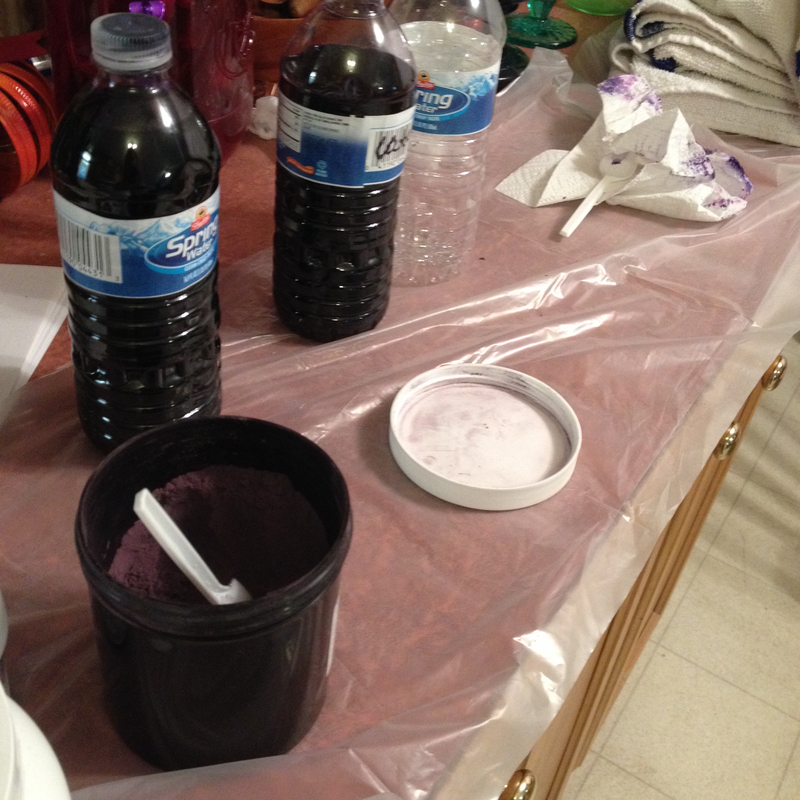 To prevent the colors from bleeding into each other, we applied the dye with a thickening agent. 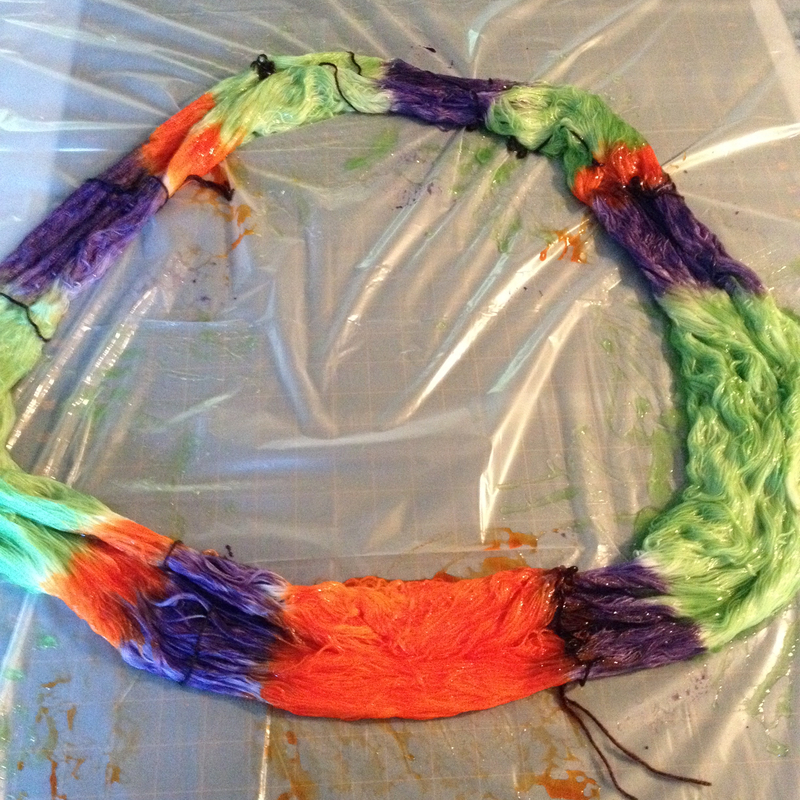 It was messy and squishy and it took a while. 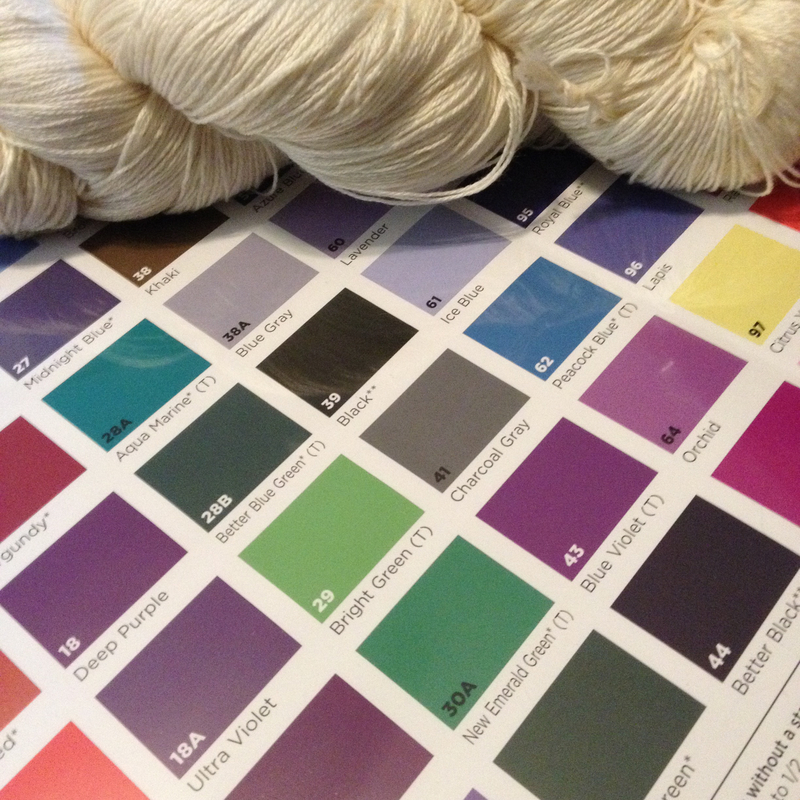 I can see why hand painted yarns are so expensive! It was labor intensive! Roll it up and into the microwave it went! I love it! I have a few ideas for it! It’s so fun! I’m gonna admire it for a bit…I have a feeling it will be wound soon! I love that! Great colors! That is awesome. I can’t wait to see it knit up. “Clown barf”!!! Bwahahahaa!!! I totally and completely love it. I can’t wait to see what it turns into! I’m thinking something from Martina Behm, a Hitchhiker cousin if you will…maybe Brickless, it’s been in my queue forever! 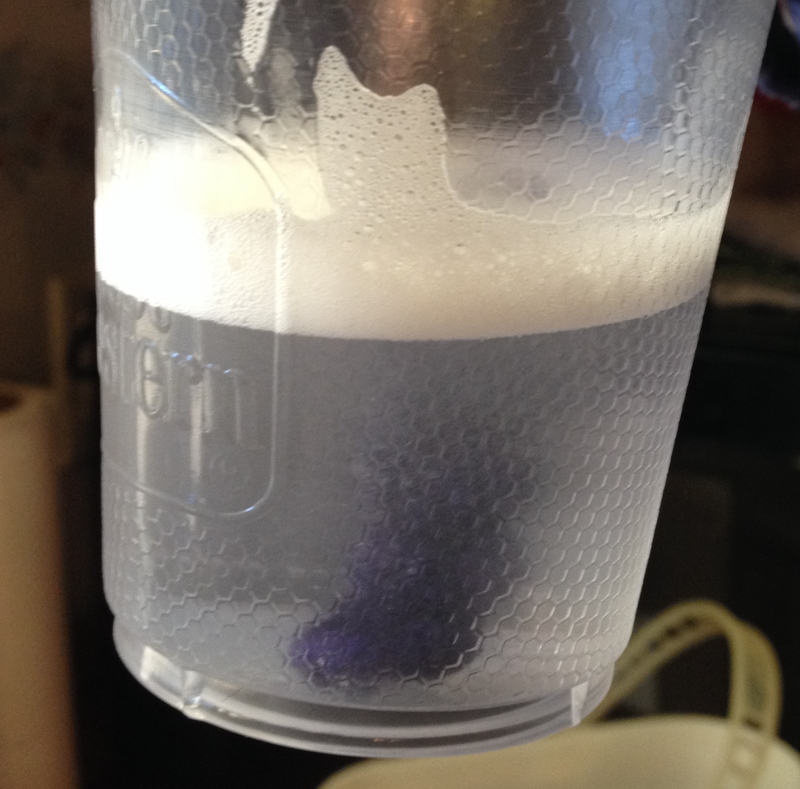 I think we went a little overboard with it, we could have thickened less than we did and still been okay…it gave us amazing precision though! 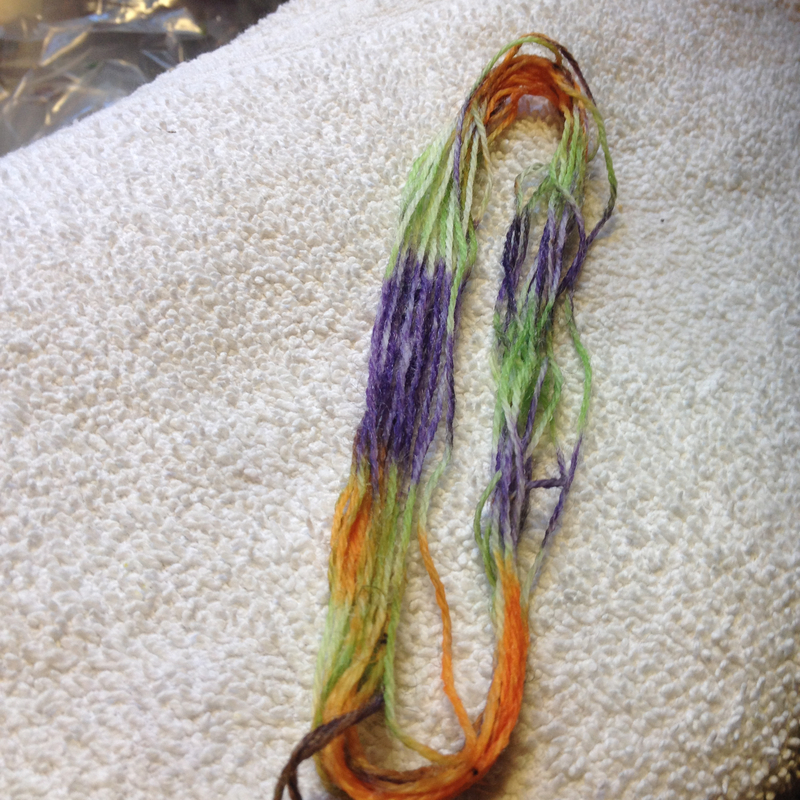 It’s crazy how many different dye techniques are out there! 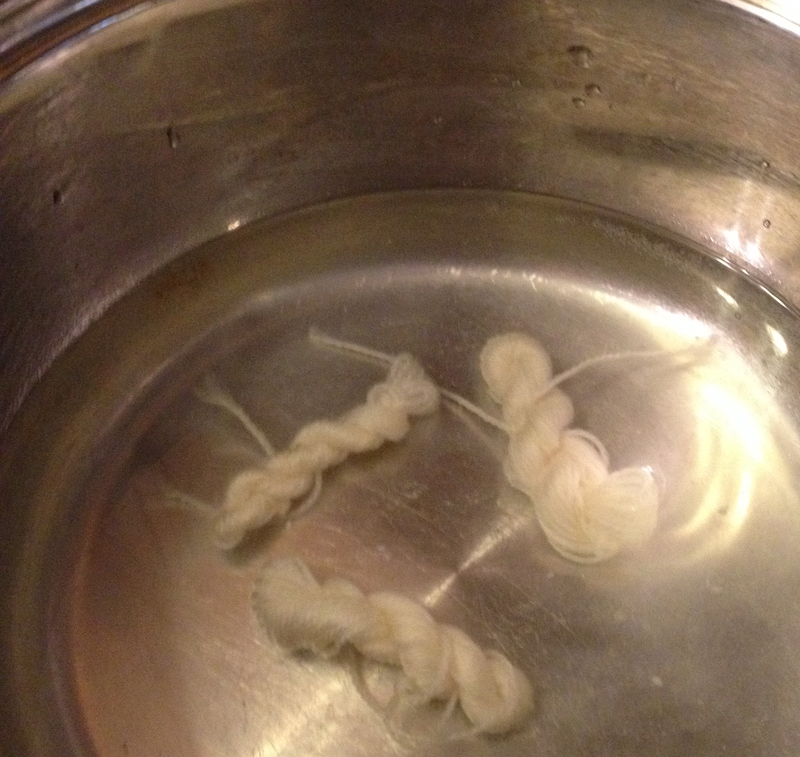 Your yarn looks awesome. 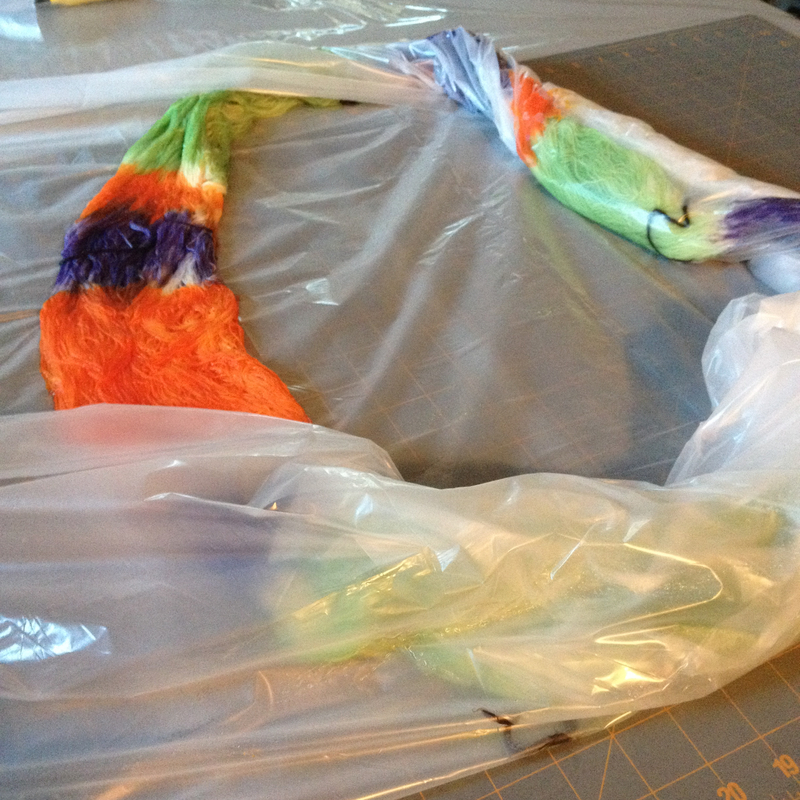 How do you thicken your dye? 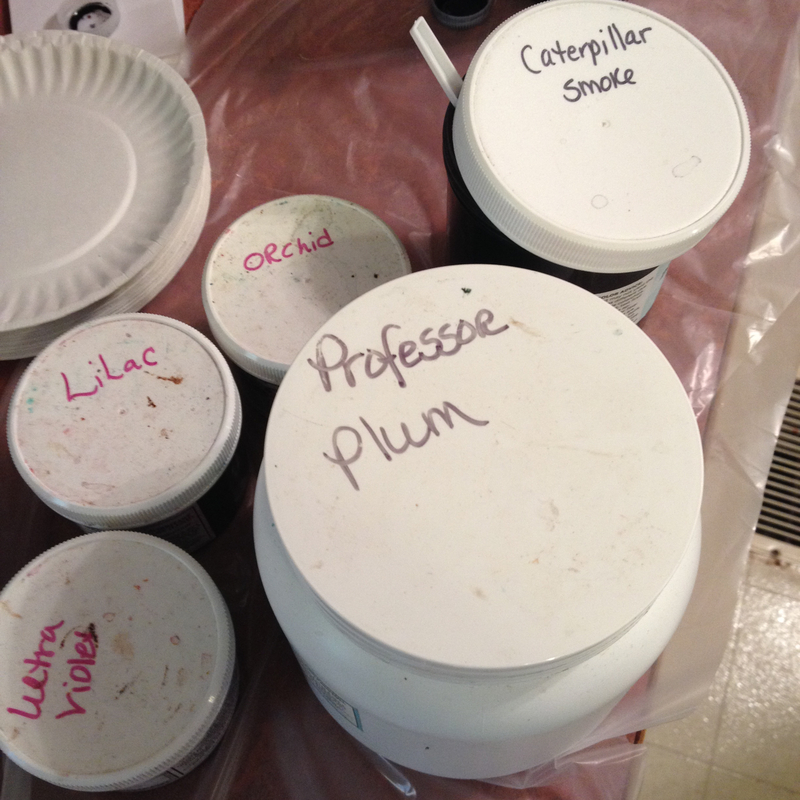 Apparently there are two choices for thickening agents…one that my mom has not been able to find called agar agar (I think) and the one we used, xanthum gum. Really I bet that would help with the bleeding a lot. 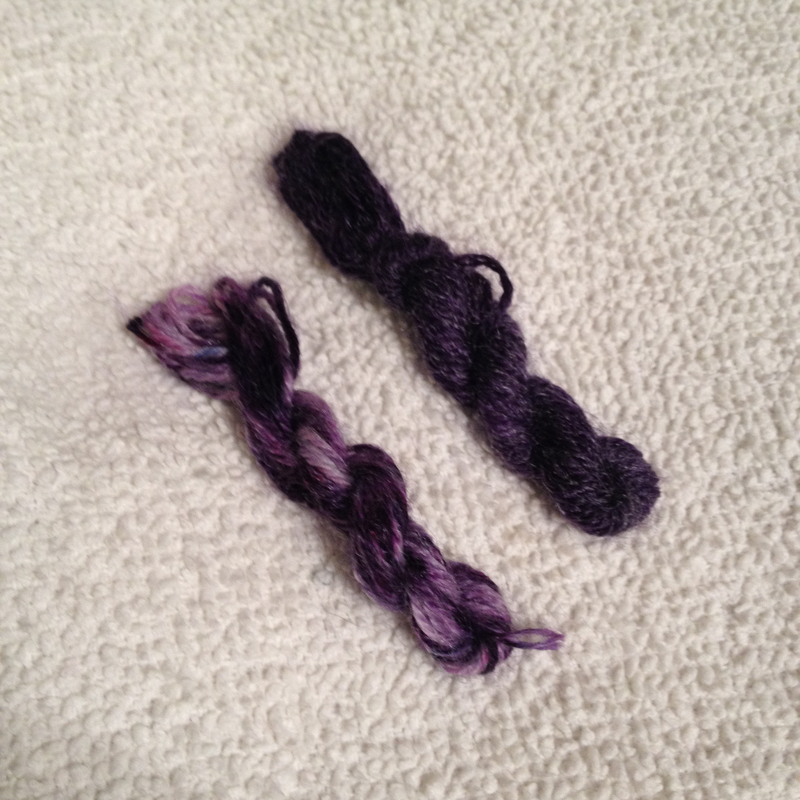 I’m trying to tell myself I don’t need to get into dyeing yarn, but you made it look so much fun, and actually not too difficult. Love what you ended up with! 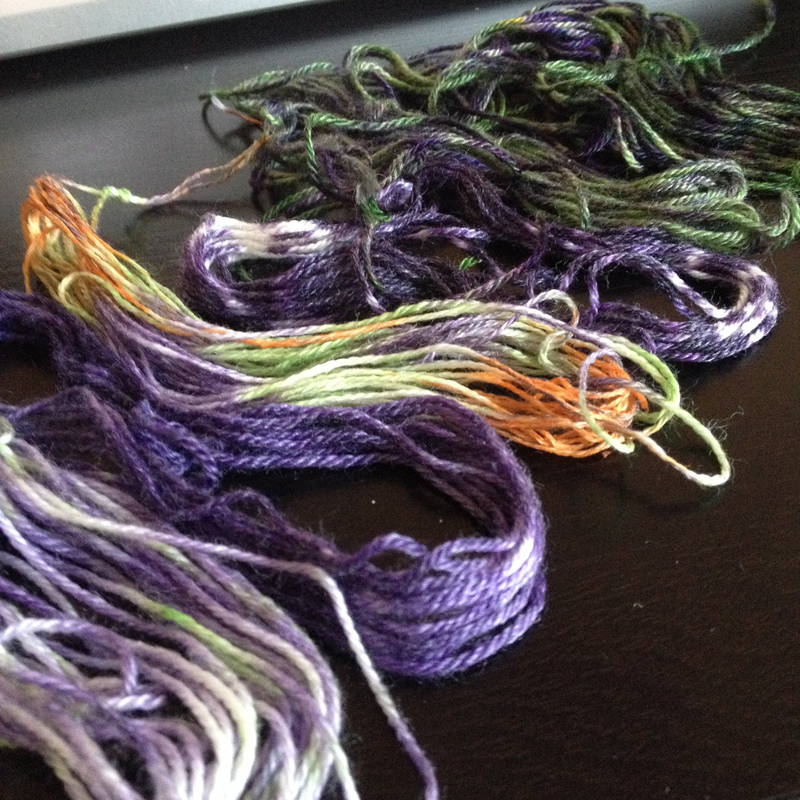 There’s definitely a learning curve, but it is fun to play with samples and pick colors and see what happens! 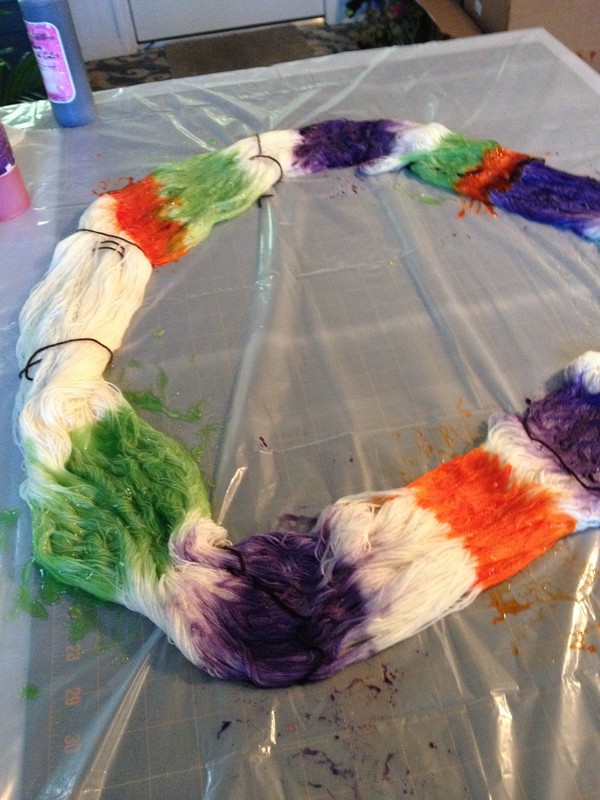 The only problem…you can dye yarn a lot faster than you can knit it! My stash is growing a bit out of control :) not that there’s anything wrong with that! LOL my stash is big enough! (wait, did I just say that?? Don’t tell my husband!) 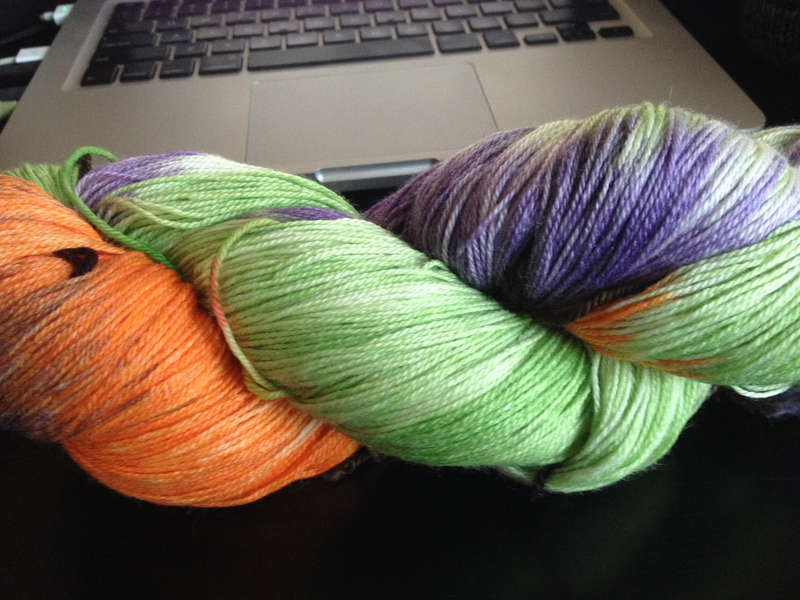 I think I better focus on growing my knitting skills before I attempt dyeing.